My Bangladesh experience – what’s the difference between a bus and an airplane? In Bangladesh – not much! Technically I haven’t been to Bangladesh – although we spent half a day there – inside Shahjalal International Airport in Dacca. 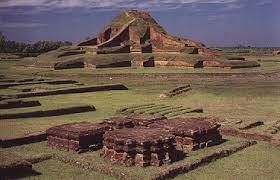 Years ago, my husband and I were flying from Thailand to India and Biman Airlines was the cheapest flight. You know how in Asia, all the busses and trains are loaded up with passengers, and any conceivable thing that may need transporting, live pigs, dried fish, fresh durian! huge bags of sponges, firewood or whatever………well when we boarded at Dacca, all the locals carried all that stuff on board the plane! Like that was going to happen – there was so much luggage and it was so big, no way any of it would fit in the overhead lockers. After a few more kicks and stern warnings, a few things were wedged under seats and we were cleared for takeoff! As we banked steeply, all the large heavy items at the front of the plane slid down the aisle, crashing into seats – Holy Moly! It was unbelievable. I’ve read a lot of posts about curry – and I’m amazed at how little people seem to know about it! I read a sad little post on an Indian food blog, asking “where did the curry flavour come from”, since there was no ‘curry powder’ in the recipe? And another post by a chef advised his readers NOT to try making curry powder/pastes themselves as it was too hard and just to use bought ones!! OMG This is so NOT TRUE! To set the record straight – Curry is not hard, not all curries are hot, all curries aren’t spicy, not all curries have loads of ingredients, you can even have dry curries. Nothing more than a spiced sauce. 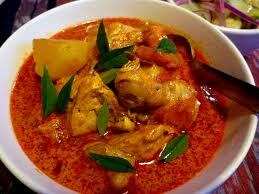 The English word curry probably comes from the Tamil word kari meaning a sauce or relish for rice. Honestly don’t be afraid – it’s really easy to make delicious authentic curries from scratch and it doesn’t take much longer than it would, if you opened a jar of the bought stuff. Believe me, no bought curry paste no matter how expensive, will ever taste as good as what you make yourself with fresh ingredients. Ideally use whole spices and grind them yourself (I use a coffee grinder or a mortar & pestle) but excellent results can be obtained from using bought ground spices and just toasting them a little (in a dry pan) to bring out the flavours and volatile oils. A blender makes short work of grinding slightly larger quantities of whole spices and add wet ingredients such as lemongrass, galangal, chillies, garlic and ginger to form curry pastes or masalas. Add water to make it all whizz together to a smooth paste and you won’t believe the fantastic aroma or flavour! Note: the water won’t affect the finished dish as it will evaporate during cooking process. If you have always bought curry powder or ready-made pastes, please make your own next time – you won’t believe how easy it is! A bit of background about Bangladesh – where is it? Ah Bangladesh, literally Land of Bengal, also aptly known as the Land of Rivers. 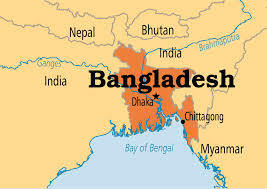 Once it was Bengal and part of India, then it was East Pakistan for a while, then became independent Bangladesh in 1971. Sitting on the world’s largest delta, with over 700 rivers including the three major ones that form the Ganges Delta flowing through it, the country is lush, green, very flat and very watery. It’s incredibly densely populated, Bangladesh has the 8th biggest population in the world. Regularly plagued with floods, famine and other natural disasters. Relatively undeveloped means fewer tourists (it’s the least visited country in South Asia) but fewer tourist facilities. 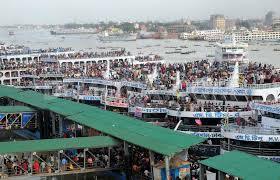 For the intrepid traveller, there are great things to see such as The Sundarbans, the world’s largest Mangrove forest and home to the magnificent Royal Bengal Tiger, The Pink Palace in the Dhaka, and a boat ride on the muddy Buriganga River from Sadarghat, a colourful chaotic seething mass of humanity afloat. Also two UNESCO World Heritage sites of Bagerhat, including the fantastic medieval mosque, Shait Gumbad, and the buddhist remains of Somapuri Mahavihara. Tour tea plantations in the cooler hilly Srimangal region and relax, enjoying a first rate cuppa while in the Chittagong Hill Tracts you can visit Tribal Markets and for the adventurous go on guided Hill Treks through thick jungle to visit some of the minority hill tribes. More important: What to eat – leave room for sweets! What not to eat! Bengalis are famous for their warmth and hospitality and love of food! Their sophisticated cuisine is based on rice, dhal (lentils for those who don’t know) , vegetables and curry of infinite variety. From a plethora of recipes for me, stand out dishes are Bengali Matar Kachori – crisp deep fried breads stuffed with spiced lentils, Korma– a mild creamy nutty curry, Shahi Chicken Biryani – the supreme rice dish, Dim Bhuna – Bengali Egg Curry and Balti fish curry. There is a huge array of breads, Luchi being a favourite, lentil and fish dishes and a particular fondness for pickles (Achar) and unusually for smoked foods like fish but vegetables too. Many different cooking methods are used including Dum, steaming under pressure and Bhunnuna which is pan or oven roasting. 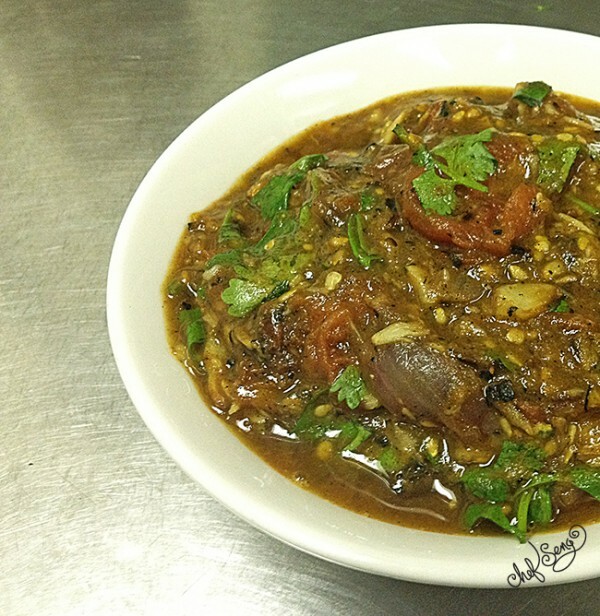 There is a version of Chinese 5 spice called Panch Phoran – panch is five in Bengali and phoran means spice. This is a mixture of 5 whole spices, in equal proportions of: Cumin, Fennel, Fenugreek, Black Mustard and Nigella or Kalonji Seeds. (Note: NOT to be confused with Black Cumin or Onion seeds). Bangladesh (then Bengal) is the home of Indian sweet making and sweetmeats, many of them based on a rich creamy milk reduction called Khoya. Hugely popular, every region has it’s favourite speciality. If you have never had Indian sweets before, you really should hunt out a place that makes them, and give yourself a taste sensation. Rich, very sweet, decadently flavoured with almonds, pistachios, saffron and cardamon and often decorated with real edible gold or silver leaf called Vark, lots are fudge like. Or soft and custardy or fried fritters in syrups. Many are difficult and time-consuming to make, and best left to the professionals. But definitely worth making at home is Payesh/Kheer, a delicious creamy, spiced rice ‘pudding’ flavoured with saffron, cardamon and topped with nuts and toasted coconut. Totally delicious, I sometimes make it in winter on the weekend as a treat for breakfast. Mix 2 tsp of the cumin, yogurt, vinegar, ginger, salt, 1/2 tsp turmeric and chilli in a bowl. Mix in lamb. Marinate 2 hours or overnight. Parboil potato cubes until just tender. Cool, sprinkle with 1/2 tsp turmeric. Panfry with 1 tb oil until golden. Heat remaining 2 tb oil in frypan, fry rest of cumin, till they pop, Add rest of spices, and onion, fry till golden. Add garlic and sugar, stir then add meat and brown. Add tomato paste and 1 cup of water, cover and simmer until tender, about 45min. – 1 hour. Reduce sauce if necessary. Toss in potato cubes and serve with rice. I took this recipe from a cookbook of mine I use a lot – the food of india published by Murdoch Books. This recipe is very similar to a recipe for Bengali Mutton Curry found at http://www.khanapakana.com Unfortunately the night I wanted to make this recipe, we had a massive storm and I had to unplug the internet in case my computer got fried. So I used my own recipe. Vietnam – Luke Nguyen a culinary salute. 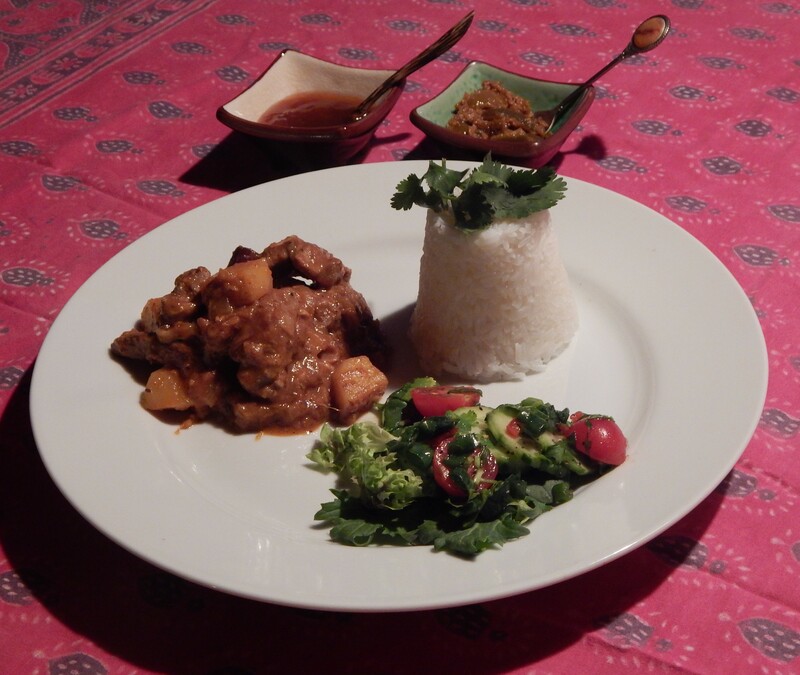 Last week I was delighted to have Vietnam to cook and Bunny was off into central Asia again with Kyrgyzstan. Vietnamese food is hugely popular here in Australia, partially due to Luke Nguyen and his terrific TV shows, and cookbooks – we love you Luke! He has brought Vietnamese food off the streets, out of the food courts and into our homes, making it look and sound so enticing. From now on Bunny will be posting about the countries she has researched and cooked. I have been struggling to catch up from when we first began this blog, as we cooked for several weeks before we actually started to write it up. I had to wait for my daughter (bunny, for those of you who didn’t know) to tell me our blog name, where to go and how to make a post. As a typical teenager, she is often busy and out, so it seemed to take a long while to pin her down and get this show on the road. 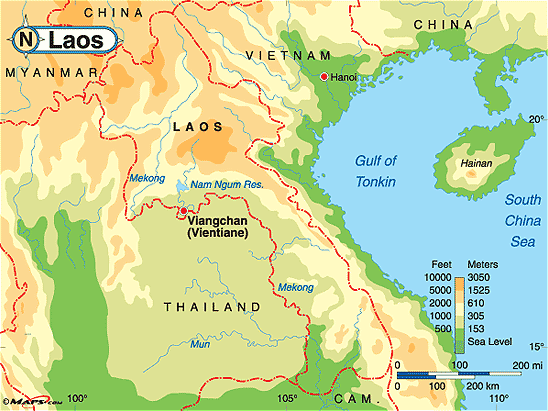 The French colonised most of the area they called Indochina – literally the countries between India & China, comprising Vietnam, Cambodia, Thailand, Laos, Myanmar (Burma) and the Malaysian Peninsula. 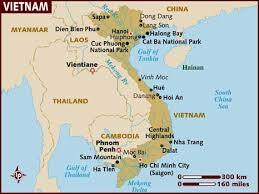 After WWII and Japanese occupation, fighting the French was followed by the Vietnamese war, and the chaos of civil war. Not until the 1980’s the now unified country started on more moderate political and economic reforms, massive economic growth has made modern Vietnam one of the fastest growing economies in the world. Tourism is now booming too. Still much remains rural and undeveloped, or you could say unspoilt. Old towns – fantastic old cities with amazing architecture, palaces and temples – Hanoi, Hoi An, a Champa trading and fishing port, My Son also a Cham city, and Hue, the former Nguyen Imperial capital, all UNESCO world heritage sites. Sapa – lush rice terraces and colourful hill tribes. Natural Wonders – Ha Long Bay & 100’s of limestone islands and caves like the world’s biggest Son Doong & Phong Nha Caves in Phong Nha-Ke Bang National Park. 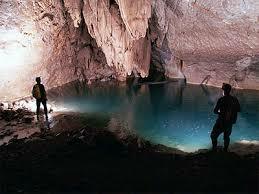 Great beaches and Kimboi hot springs. Traditionally heavily influenced by chinese cuisine, Vietnamese cuisine places great emphasis on balancing the 5 elements of spicy, sour, bitter, salty and sweet along with a foods heating or cooling properties. All the senses are considered, touch, sound and sight are important, not just how a dish tastes or smells. Vietnamese like to include 5 colours of ingredients in dishes too. Dominated by rice and noodles, lots of soups and broths – especially the famous Pho, tons of fresh vegetables and masses of fresh herbs, using little oil, Vietnamese food is very healthy, light and packed with flavour. (Think Vietnamese rice paper rolls.) Condiments are big, the iconic dipping sauce Nuoc Cham on every table. French legacy has left a passion for delicious french breads especially baguettes, but sweets are mostly asian in style. 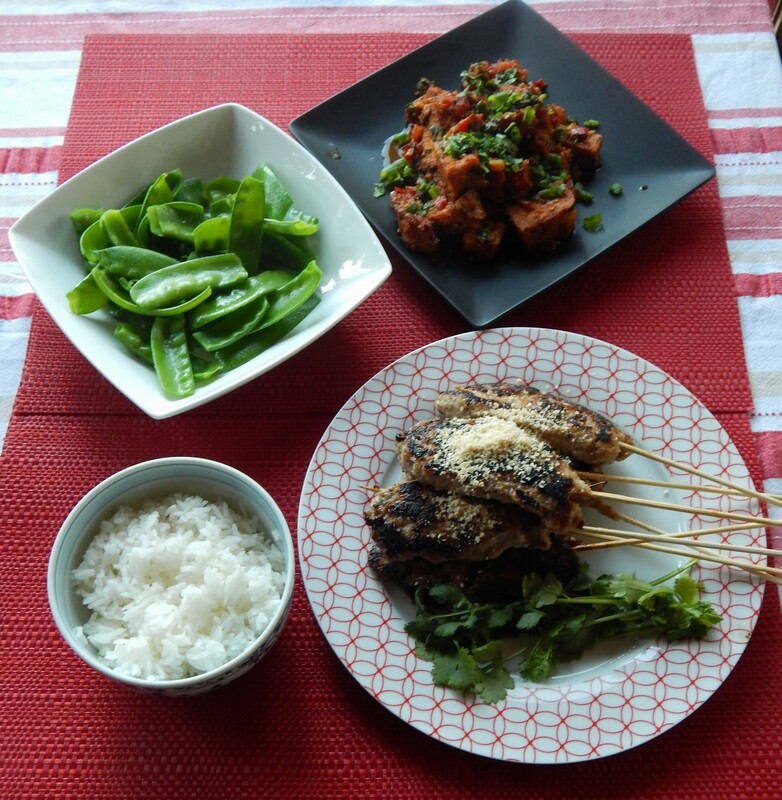 I made a recipe by Luke Nguyen, from his SBS TV show, except he used wild Hmong black pig! But we found his recipe had too much fish sauce for us. We are used to fish sauce but we all agreed, especially hubby that it was way too strong. Have adapted the recipe to suit us, I hope you like it too. My son of course added heaps of Chiu Chow Chilli oil to it – he’s mad on that stuff! 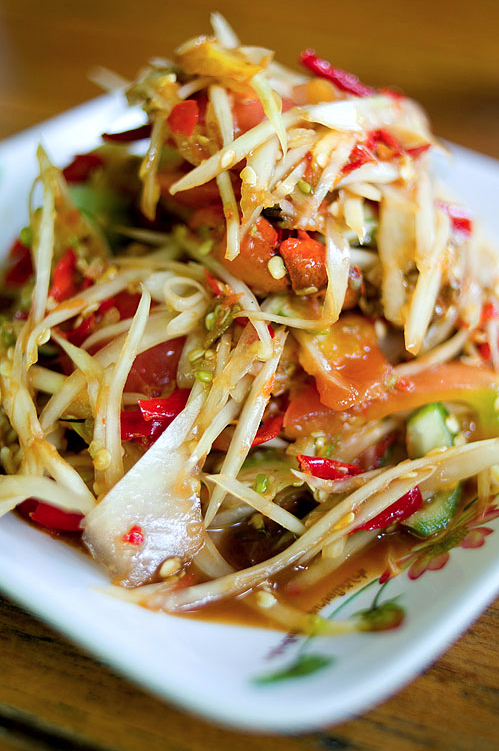 If you like hot – it’s the yummy roasted chilli paste common as a condiment with chinese food and takeaway. Place pork strips, spring onion, lemongrass, fish sauce, oyster sauce, sugar, honey, pepper and oil in a mixing bowl and marinate as long as possible, preferably overnight. Thread the pork onto bamboo skewers and chargrill or pan fry (with a little extra oil) each side for 3 minutes. Serve with the sesame salt to dip. 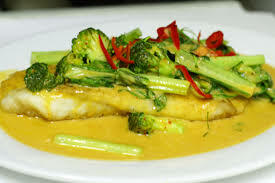 Serve with plain steamed rice, and stir-fried green vegetables or a Vietnamese style salad. We were a bit divided on this dish, but overall gave it a 6/10 – because of the fish sauce. What to make when it’s too hot to cook? I think I was too hot and flustered that night to bother. We have had a few scorching days here in the Blue Mountains outside Sydney, Australia – that day I think it had been 42° C that’s 107.6 Fahrenheit! and was still in the high 30’s by 7pm. Really was too hot to cook, but I needed to get my cultural meal done for the week – see what I do for you out there! What we often have when it’s very hot is another tasty Vietnamese speciality – rice paper rolls. They are a great family dish as little or no cooking is involved, and everyone can help themselves and make their own rolls with whatever they like. It’s a fun and no fuss meal everyone enjoys – especially me the cook! If you haven’t tried them, it’s so easy. Just lay out all the fillings, salad ingredients, noodles and condiments, have the rice sheets ready to soak on the spot, and let everyone do their thing. The only thing that is cooked is the prawns (and you can use cooked ones) and the rice vermicelli noodles which are just soaked briefly in boiling water. 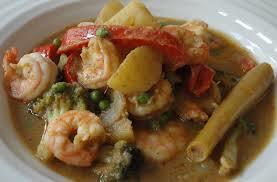 Apart from Bunny, we love prawns and so I like to make quick Chilli Garlic prawns to put in our rolls. Marinate 15-30 minutes. Grill or panfry. Soooooooo good! hot or cold. For the best rice paper rolls in the Blue Mountains, and probably the best I’ve ever had anywhere, go to The Laughing Elephant, Station St in Wentworth Falls. This is a treasure trove of exotic asian ingredients, spices, curry pastes, condiments, rice, dried noodles, and hard to find fresh herbs, spices and vegetables like fresh turmeric, thai eggplants, fresh curry leaves and galangal plus fresh rice and egg noodles too. If you can’t find what you want, the very helpful staff will order it in for you. Best of all they make the most fantastic Vietnamese rice paper rolls fresh on the spot from the very best local ingredients – free-range chicken, free-range chinese BBQ pork, tofu and Australian prawns salad, fresh herbs and a yummy nutty dipping sauce! Their other speciality is Banh Mi Thit, or Vietnamese filled rolls. Again these are delicious, made with a freshly baked mini baguette (from the German bakery next door) with that free-range chicken or BBQ pork, topped off with fresh mint, coriander and chilli, loads of salad, and spread with mayonnaise, BBQ paste and fish sauce. Wow – these are the best Banh Mi ever! If you are in the neighbourhood, do try them. 1 teaspoon = 5 ml, 1 dsp (dessertspoon) = 3 tsp, 1 tablespoon = 4tsp = 20 ml (NOT 15ml as in USA), 1 cup = 250 ml.